It’s back! 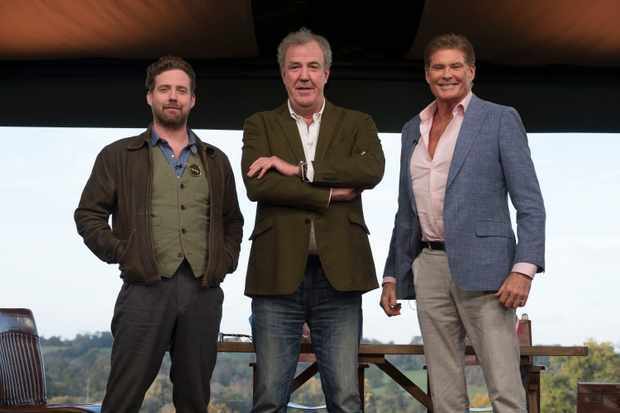 After what feels like far too much waiting, Clarkson, Hammond and May are back on our screens. As Clarkson himself put it in the early stages of this week’s episode, “It’s so good to be back, doing what we do, driving round corners a bit too quickly whilst shouting and bickering”. So then, what did the first episode of the second season have in store? Well, read this and find out, although there will of course be spoilers, and I’m not talking about those attached to cars. The first season of The Grand Tour kicked off in great style as the three of them put the P1, the 918 Spyder and the LaFerrari against each other, so how do you follow that up? One could argue that it’s almost impossible to better that, but the trio did a decent job by pitting three different, but very impressive cars against each other. Jezza represented the past with the raucous Lamborghini Aventador S, May represented the the present with the clinical and techy Honda NSX, leaving Hammond to pick up the baton for the future with the Rimac Concept One. Hang on, I swear that didn’t end well did it? The destination for this test is Switzerland, where Hammond is in charge of the planning the trip. So what did he have lined up? If you said a stay at a wellness retreat with trips to the local museums, then you are absolutely right. This may seem very random, but the reason for this all becomes clear. I’ll give you a hint though, the Rimac is electric. This film is separated in three sections, and is broken up by Conversation Street and a replacement feature for the rather tedious and annoying Celebrity Brain Crash. 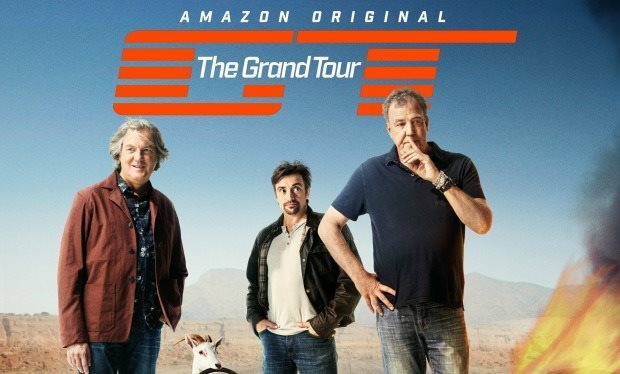 Yes, that’s right, The Grand Tour team saw sense and killed off that feature like the team ‘killed off’ celebrities. More on that later. Going back to the film though, it was good to see the trio back in fast cars arguing with each other. An example of this was Clarkson trying to convince May that the fuel gauge needle on the NSX is wonky. This made for good banter, a timely reminder of what we have been missing for the last few months. As with the last series, the cinematography was top notch and the first clip was as well polished as priceless heirloom. Having said that, the first part lacked a bit of substance if you ask me. Like many, I was interested to see which features from the last series had remained for season 2, and which had been left at the roadside. Conversation Street is still here and honestly, I’m not too sure what to think about it. It’s a feature I found to be a bit hit-and-miss in the first season, and sometimes it just felt a bit like filler. On the flip side, it could also bring out the trio’s excellent banter as well, although sometimes it just felt too scripted. I understand there needs to be a script of some sort, but sometimes it didn’t feel organic enough. I’m afraid, for me, Conversation Street in this episode fell very much in the ‘filler’ category. There has been a lot of car news since GT was last on air, but the actual section didn’t really talk about cars at all, and there were just a few insults thrown around, including May’s new hairdo. Don’t get me wrong, I like that, but it needs to be mixed in with car chat as well, and other than a bit about some weird sweat-detecting seats from Nissan, and Ford’s ‘Good Neighbour’ mode, it felt a bit thin. One thing that is new though, is that the GT tent has a permanent place, and will no longer travel across the world. As Clarkson puts it, the location is halfway between May’s house and Hammond’s house, thus making it fair. 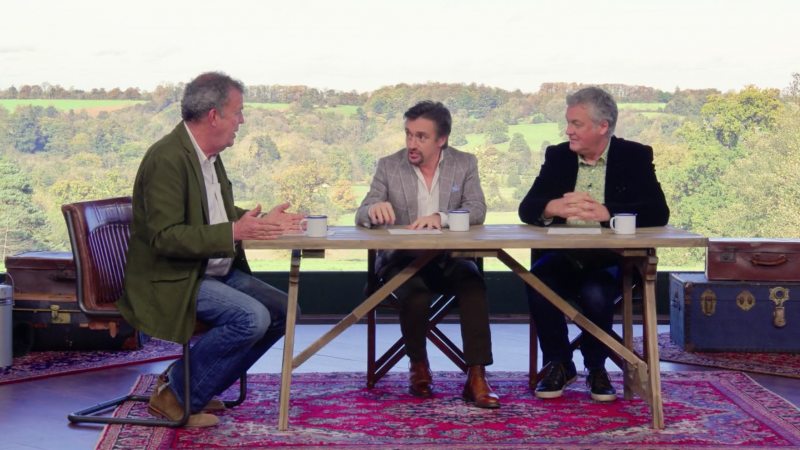 The other two then point out that it’s actually on Jeremy’s doorstep and the jokes that resulted from that did give me a jolly good laugh., especially when Hammond made a joke about seeing Clarkson’s cat. It turns out that the tent is also a stone’s throw from a race circuit, but I will cover that in a bit. We then return to Switzerland, where we re-join the supercar action. 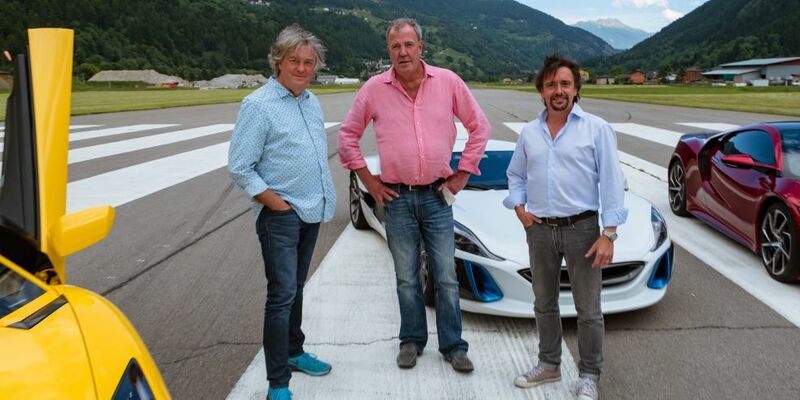 After Clarkson finds himself getting stuck around the tight streets of Lucerne and May pleads for food only to be given some Ryvita strips, they decide to sack Hammond from the trip planning and do something more supercar-y. Hammond, it turns out was picking out these museums as they were near to a fast charging point in which he could charge his Rimac, or as Clarkson called it, the “lady shaver”. Instead, the three of them hit a runway to see which car is the fastest in a drag race. Oh, yeah, this is much more like it. Hearing the roar from two supercars, and the erm, hum of another, is enough to get your petrolhead loins going. I don’t really want to say too much about the race, but I will say that it produced what was my quote of the episode from Clarkson: “that Rimac just f***ed off”. Ah Jezza, always a poet. Hoorah! Celebrity Brain Crash Is Dead! Thank the heavens, the GT team has had the sense to see that the Celebrity Brain Crash feature from the first season was worn out and needed to be replaced. I suggested this to Clarkson when I spoke with him earlier this year, therefore I’m taking full credit. I’m kidding of course – I’ll take half the credit. That aside, what we had in its place was Celebrity Face Off. It’s sort of like Star in a Reasonably Priced Car, only that the car isn’t reasonably priced at all. What it is, is the new Jaguar F-Type, the 2.0 litre version. Good choice of car, I hear you say, and you’d be right. Or so you’d think until you see the track. It’s part tarmac and part gravel, and in all honesty, I winced a little bit when I first saw the F-Type hit the gravel and I could hear the stones flicking up on to the body and the chassis of this low-slung sportscar. We have the car though, and we also have the track. What we really need now, are the celebs. Step forward Kaiser Chiefs frontman, and famous Yorkshireman Ricky Wilson and David ‘The Hoff’ Hasselhoff. They may well be former talent show judges, but it was still a rather random mix. However, it worked quite well and really enjoyed the interaction they had with each other and with Jezza. Actually, this may sound odd, but for me it was one of the highlights of the show. 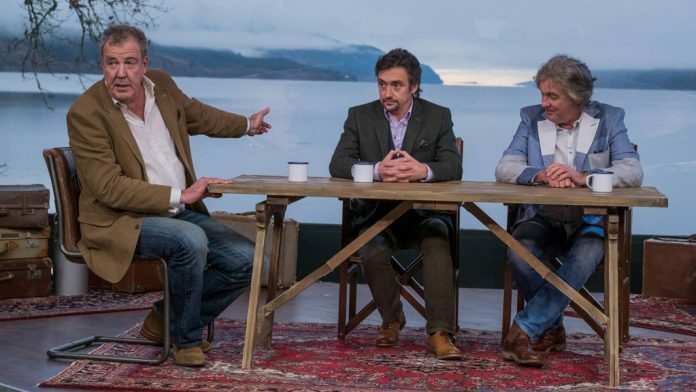 It also goes to show that you can put random celebs together and get a decent interview segment, not like those awkward ones on the first stab at the first series of the ex-Clarkson, Hammond and May Top Gear, but that’s another story, and besides, Top Gear addressed that issue. I won’t spoil the lap times for you, so you have to look forward to when you watch the show. 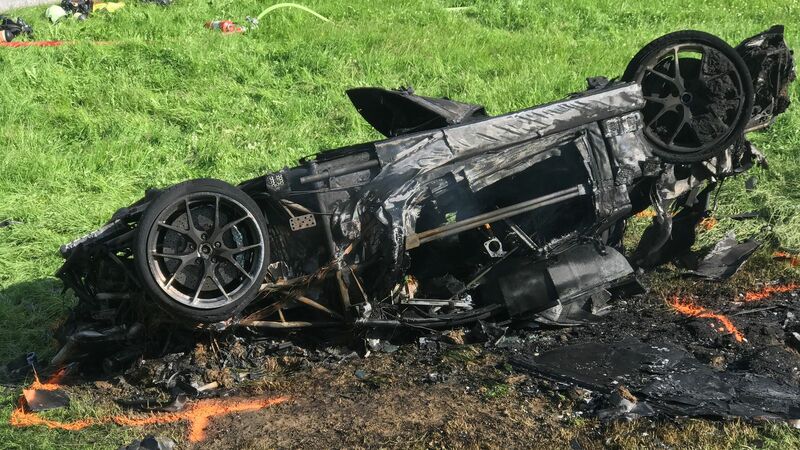 By now, we all know what happened to Richard Hammond in the Rimac, and if you haven’t, where on God’s green earth have you been this year?! Yes, Hammond binned the Rimac but was able to come out to fight another day. After realising that the three of them cannot take part in motorsport because it’s banned in Switerzerland, they find a way around in the form of a hill climb. So the three of them set off to see who can get the fastest time, proving which tense is the best when it comes to the pointy end of motoring. May was up first in his NSX and said very little as he was using his “concentrating face”. 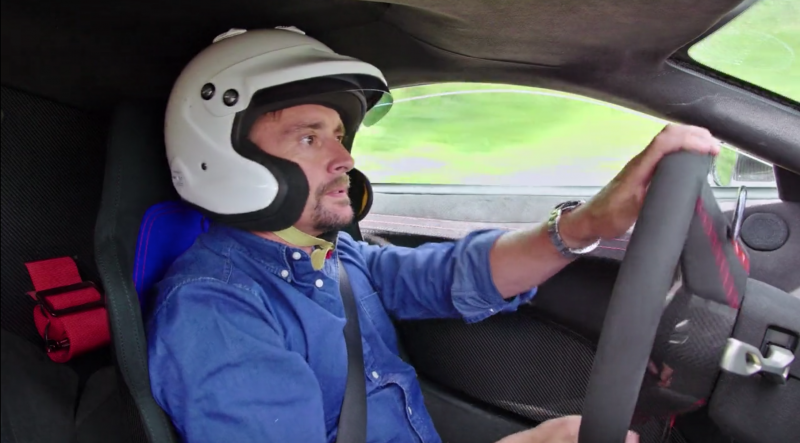 Things got a bit awkward for Clarkson as he could not fit in the Aventador S once he was wearing a race helmet. Instead, he had to use a Lambo test driver called Jacomo, who may or may not be related to the men’s fashion catalogue. His name is actually spelt Giacomo, but seeing as Clarkson pronounced it “Jacomo”, that’s what I’m going with. Clarkson’s simple instructions to him were to state on Camera that “Hammond is an idiot” and that the Aventador S is “the best car, pause, in the world”. Predictably, the Jacomo put in a stonking time, which I won’t reveal here as that’s something to look forward to. This of course left the plucky Hamster. 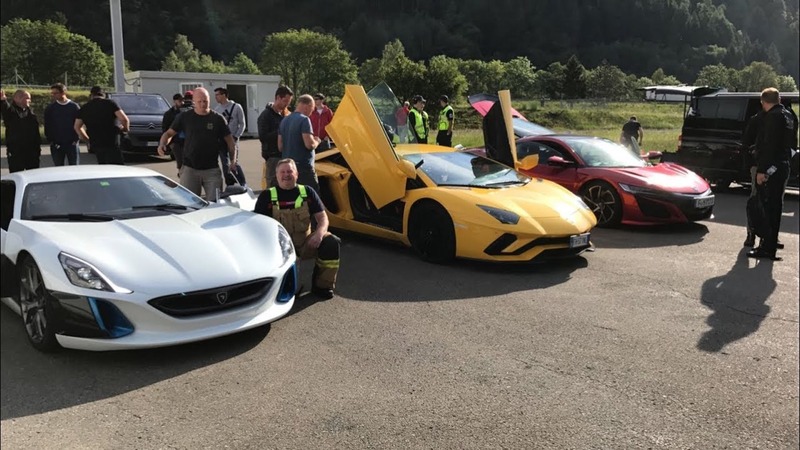 After Clarkson and May had given him a pep talk stating that the whole crowd had come to see the Rimac put in the best time, he made set off on his near fatal run. Although I knew what was going to happen, my heart was in mouth and I found myself on the edge of my seat. I knew he wasn’t going to die but yet I felt terrified for him. The fact that he looked rather sheepish in the hot seat didn’t help matters and I could feel my heartbeat getting faster. But wait, he’s crossed the finish line…oh ****. Next you see some grainy footage taken from YouTube before the screen goes black and all hear is the audio, which I found chilling. But not quite as chilling as the scene it left behind. The remains or the car are so ruined, even the most eagle-eyed petrolhead would struggle to tell you what car it used to be. Ok, maybe they may have been able to guess from what remained of the alloys, but you get my point. After seeing The Hamster go off in an air ambulance, we go back to the tent and May reads out the times as if nothing’s happened. The incident then gets dissected in typical GT fashion – ah it’s good to have you back. The first episode was a good starting point, but like Clarkson and May at the dinner table in the wellness resort, I was left wanting a bit more. Not in the sense that I can’t wait for the next episode – which I can’t – but more in the sense that I wanted a bit more substance. Was it a bad show? No, but did it blow my socks off either? Sadly no. I just wished there was a bit information thrown in about the cars, and that was a bit more geeky in places, but hey, it’s still entertaining. The first episode then, is a good foundation, something for the rest of the season to build on. I’m glad they’ve had the foresight to listen to viewers and take away bits that didn’t work, and I look forward to seeing who they replace the American with, now that he appears to have been ditched as well. Check back here for my review of the next episode.